CU CHI TUNNEL SYSTEM IS ONE OF THE MOST FAMOUS MAN MADE TUNNEL SYSTEMS IN THE WORLD. THIS IS THE GREAT VICTORY OF THE VIETNAMESE PEOPLE OVER THE INVADERS. Wish to visit a country and a continent in one? 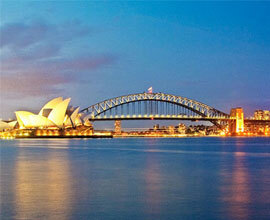 Australia is one of the largest countries in the world with very peculiar nature and lanscapes. With the country so vast, you will definitely need to pick attractions, and a good travel agent can be invaluable asset in this. Are you a travel company in Australia?